Coffee Grinder Reviews and Much More! At Know Your Grinder, we take our coffee very seriously. We dig deep into the coffee world and find all the information you could possibly need to make coffee-related decisions. 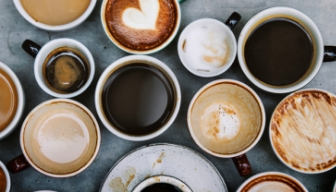 From grinders to coffee makers, from the bean to the cup, we journey into the coffee world and shed light on a number of factors. They’ll all help you make the best cup of coffee. Of course, we will start with coffee grinders. We also talk about the actual farms where beans originate. If you’ve ever wanted to know the process involved in picking beans and bringing them to your local coffee shop, we cover all of that and more. It might surprise you to learn that there is more than one type of grinder. There are conical burr, ceramic burr, and blade grinders. We cover all kinds of grinders here including doser and doserless grinders. We’ll even tell you what all of the coffee grinder lingo means. You’ll soon learn whether you want a manual grinder, one of those beautiful Turkish burr ones, or even an antique & vintage coffee grinder. If you want to learn all there is to know about coffee grinders, this is the place. 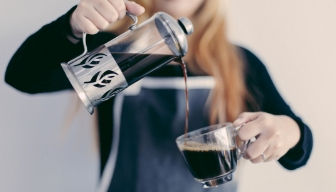 There’s more to learn in the world of coffee, too. We compare grinders like electric and manual, ceramic burr versus metal blade. 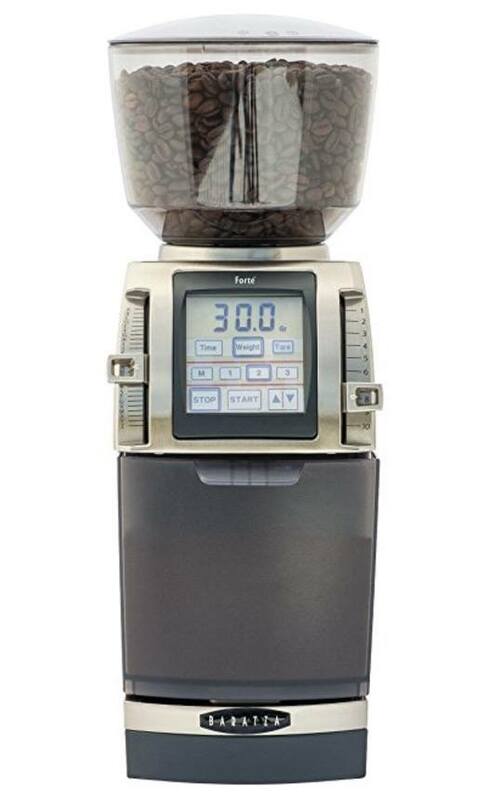 We do all kinds of comparisons from espresso machines and coffee brewers to different wood mills for grinding. After all the experience we’ve had with various devices and processes, we’ll be able to direct you to the best device for your needs. Whether it’s a thermometer, a roaster, or a brewing system, we have all the info you need to make an informed decision. Haven’t heard about BPAs, yet? They’re a horrid chemical in some plastics that can cause health issues. You really want to avoid BPAs when possible. We have hunted down devices that are not made with harmful chemicals. 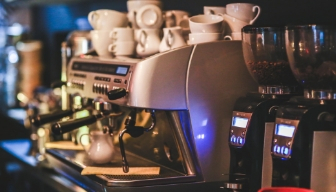 If you’re starting your own coffee shop, you’ll find many comparisons and reviews surrounding the best type of commercial appliances you’ll need. We cover some of the heavy names in commercial espresso machines like Nuova Simonelli, Breville, and Rancilio Silvia. We even have some advice for opening your shop. 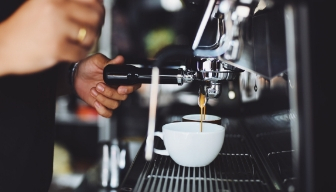 Check out this article on opening a cafe or coffee shop. It includes a list of items you’ll need from lighting to grinders to a website. If you want to start your own coffee business, you should already have an idea of what cupping is. But if you don’t, it’s the way you choose a coffee bean. The process allows you to test all the beans under the same process and conditions. You’ll use the same water at the same temperature. You can also use this process at home to try different grinders and beans to find your favorite. It’s a great way to get all your coffee-loving friends together, too. When choosing an espresso machine for your home or business, there’s much research involved. It’s an investment that you want to be thoughtful about. Especially for a commercial appliance that can cost much more than a simple home unit. At Know Your Grinder, we also know about espresso machines. We’ve covered them extensively. Brands like Bezzera, La Pavoni and De’Longhi just to name a few. To get the best taste out of your coffee grind, you’ll likely want to skip the paper filters. They leave a residue in the coffee that can really alter the flavor. On the site, we introduce you to other kinds of coffee filters like permanent ones. There are reviews, and we also pick our favorites. There are terrific options like surgical grade stainless steel ones as well as gold ones. They each have advantages. The freshest cups of coffee are not going to be found when you get already ground coffee or beans that are already roasted. The beans and grind you get from the store could have been sitting on the shelf for weeks. Even beans from a roasterie have been there for a week or two. The only way you can trust that your coffee is fresh is with your own home roaster. 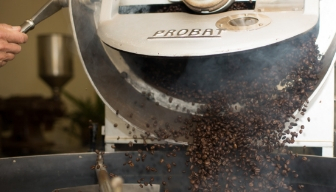 Roasting at home becomes a part of the coffee making process. It’ll give you the freshest coffee possible. Stale coffee is definitely the worst, but you don’t have to suffer a stale cup of coffee ever again if you roast at home. When roasting at home, you need a way to store your coffee beans and fresh grind. The best way to do that is with a storage vault. The storage vault will help to release CO2 after roasting without allowing oxygen to make them stale. The vault keeps out moisture and sunlight, which are two of the worst things for beans and grind. Many people believe that keeping your beans in the freezer will keep it fresh, but that is where you can pick up moisture. A coffee vault is a better choice. From cold press to nitro brew, we explain all the different coffee types. If you’ve ever been intimidated going into Starbucks because you don’t know what all the terms mean, we can definitely help with that. There are also more than a few reviews about the coffee giant and all their coffee trends. Want to get an unbiased review on what we think of the Roasted Coconut Cold Brew? Or how about that weird Unicorn Frappe they had a while back? We’ve got you covered there, too. We know that many die-hard coffee roasters and brewers will turn their nose up at instant coffee. There are many coffee drinkers who like the powdered grind that instantly dissolves in hot water. Some believe that instant coffee isn’t “real” coffee. We disagree. It’s made from real coffee beans and concentrated for those who need a speedy process. We talk about how to make fresh coffee when you don’t have enough time, so maybe you can skip the instant coffee next time. Not everyone needs a full pot of coffee brewing in the morning. If you live alone, or are the only one drinking, it’s a waste to prepare a whole pot. Instead, you can purchase a single-serving device. It might take simple cups like a Keurig, or it could be a Moka Pot. 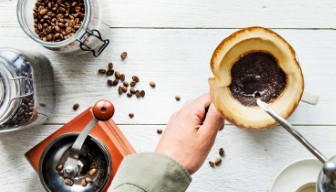 There are simple pour-over drippers that can make one lovely cup of coffee, too. They help you deliver water for an even extraction. We cover flat-bottom or cone-shaped devices as well as wave filters. Learn which one will give you the best cup of coffee. 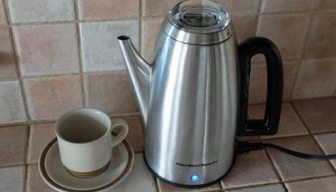 A percolator is a great way to get coffee when you’re not able to plug in a coffee machine. Campers especially love percolators. 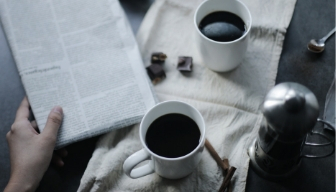 There’s no reason you have to forgo coffee just because you’re out in the wilderness. In fact, you could get an old-fashioned manual coffee box and grind your beans before using the percolator. You’ll feel like a real outdoors person. There are lovely silver ones that can be a part of a morning breakfast out on the patio, too. They’re made entirely of metal like stainless steel, so they don’t have any harmful BPAs in them, either. There’s more to coffee than water dripping through grind. There are press coffee makers that are said to make magnificent coffee. Water and grind are combined, so the coffee is squeezed out of it. 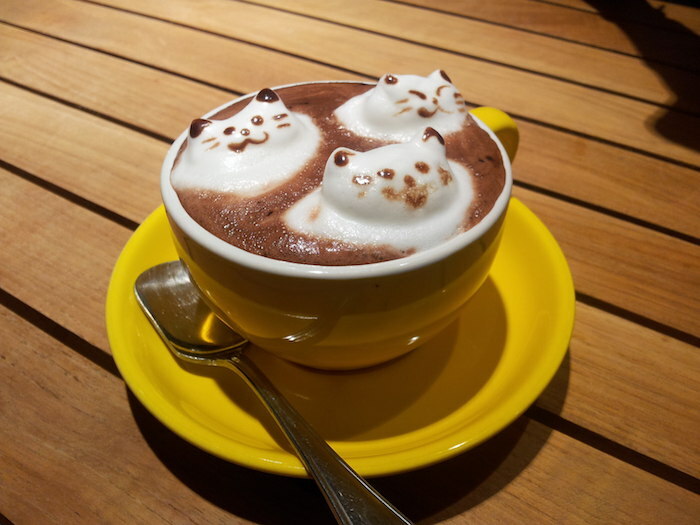 This type of coffee is very popular. In fact, Aeropress has a contest every year to find the best coffees made with their device. 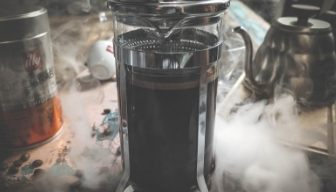 On the site, there are also many posts on the right grind to use for Aeropress as well as what grinders work the best for that grind. Along with our thorough reviews, we have fun facts about coffee like what country drinks the most coffee. 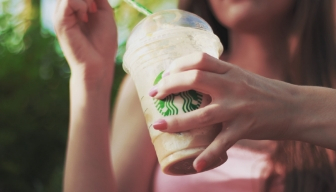 There are plenty of How-Tos like our favorite Starbucks drinks and how to make them at home. We also cover some of the best roasteries around, the farms that bring us the best beans, and associations like the Specialty Coffee Association. One of the biggest spoilers of your coffee doesn’t come just from stale or bad beans, it comes from not cleaning your coffee grinder. Old grind can get into the new grind and give you a stale cup of coffee. Our posts cover more than coffee making, we also cover coffee device cleaning. 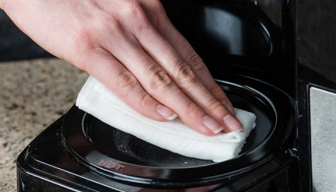 We’ll show you how to clean your grinder like a pro. We also show you how to descale your espresso machine. Some of these devices have to be cleaned in a specific way. They can’t be exposed to water. 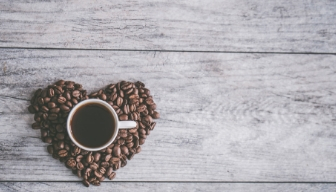 We believe you’ll find everything you need that’s coffee related on this site. We’ve spent hundreds and hundreds of hours testing and researching to give you the most up-to-date information. 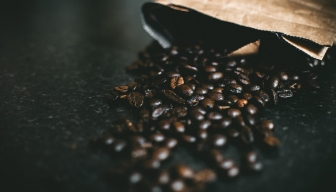 Our site aims to be the most in-depth, resourceful space around for all your coffee needs. 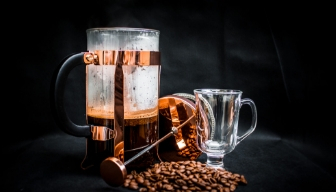 Follow Know Your Grinder on Pinterest for Groovy Coffee Images!